Dr. David A. Del Castillo, DMD - Creative Mindworks, a Miami Florida based internationally ranked integrated marketing and advertising firm, solutions driven and Thinking Fresh Daily! Dr. David Castillo needed a new way to represent his dental practice. 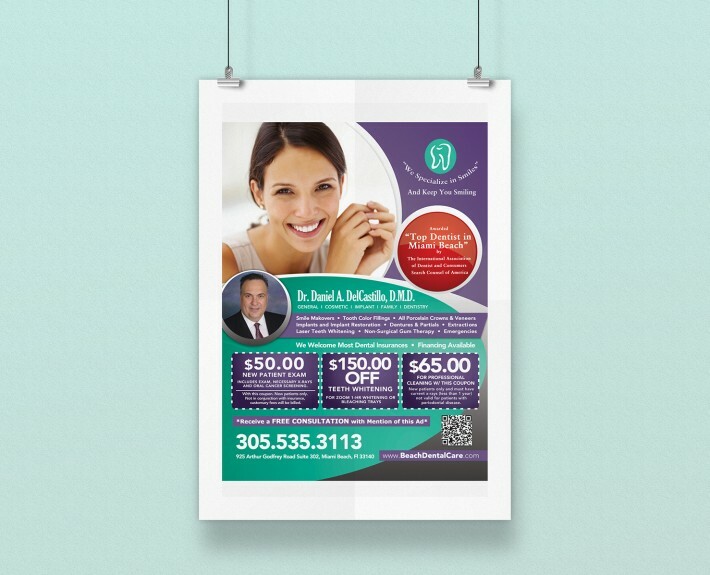 When he contact Creative Mindworks, we put our decades of healthcare marketing experience to work for him producing an advertising campaign with a Miami motif that highlighting his Top Dentist status and his experience. The result was an increase in patient visits and brand recognition.